Growing up, everytime I had the beginning of a cold, my mom would make me eat raw garlic. Beyond disgusting. My friends would literally run the other way when they saw me coming. My best friends would simply tell me my breath was unbearable. Although she almost ruined my social life, my mom was a pioneer in her understanding of the benefits of garlic. Not only was I rarely ill, but I also had the smoothest skin of any of my friends. Apparently, garlic has an antibiotic, antiseptic and balsamic action. It is rich in micronutrients, particularly vitamin A, B and C. Studies indicate that a daily supplement of raw garlic extract can reduce the risk of heart attacks. Also important for women with sensitive skin, garlic is rich in antioxidants. Antioxidants are substances that prevent and reduce damage to cells caused by oxygen. Examples are Vitamin C, Vitamin A, Vitamin E, beta-carotene, lutein, lycopene, and selenium. Many of these antioxidants are already present naturally within our bodies, while others are integrated by means of our diet. The following are foods rich in antioxidants to incorporate in your diet. Blueberries: When chosen in season, they contain a greater quantity of antioxidants, but they can also be eaten frozen throughout the year or in the form of pure juice. Kiwi: They represent a natural antioxidant rich in polyphenols and vitamin C.
Plums: Another important fruit to counteract the action of free radicals. They may be eaten dried, in juice form, or as prunes, as long as they do not contain chemicals or additives. Broccoli: thanks to the presence of vitamin C and carotenoids, broccoli offers an effective antioxidant action. Garlic: When eaten raw, it retains the benefits of substances that prevent cell degeneration. Ginger and Turmeric: Excellent sources of antioxidants. Make seasoning your dishes with these spices a habit, as opposed to seasoning with salt. Legumes: Beans, chickpeas, lentils and peas are rich in polyphenols and saponins, so they are essential in the fight against free radicals. Dark chocolate: Yum! Dark chocolate contains a large amount of polyphenols – especially epicatechin, and is an excellent natural antioxidant. 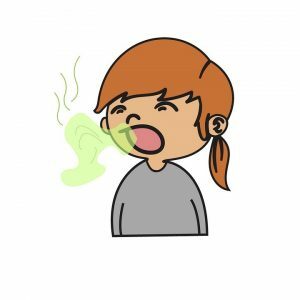 Once you’ve completed your meal rich in antioxidants and garlic to protect sensitive skin, the questions remains: how do I get rid of my garlic breath? No worries, after suffering for so many years, I finally found the trick! In general, all foods rich in polyphenols will help you combat the classic “garlic breath”. Try spinach, parsley, mint, and green tea. Lemon juice: rinsing your mouth with lemon juice should reduce the garlic breath odor. About Organyc sensitive skin feminine care products. Organyc feminine care products are made of 100% organic cotton inside and out are the only brand which provides complete protection for you and your sensitive skin. They have unsurpassed absorbency and leak protection and are cotton-soft and gentle. Conceived in Milan, Italy, they are now available at leading stores and ecommerce retailers throughout the U.S. To order a sample (tampons, liners or pads) or learn more call 1-844-ORGANYC (1-844-674-2692) or visit click here.